Learn more about the A-Team below. Meet the A-Team: Luke Bertelsen, Eric Fazio-Rhicard, Geir Hundal, Eric Ruljancich, and Andy Bennett are all skilled and experienced in bolt replacement and they’ll be adhering to the AF/AAC best practices! CASA is a 2015 recipient of The Anchor Replacement Fund. 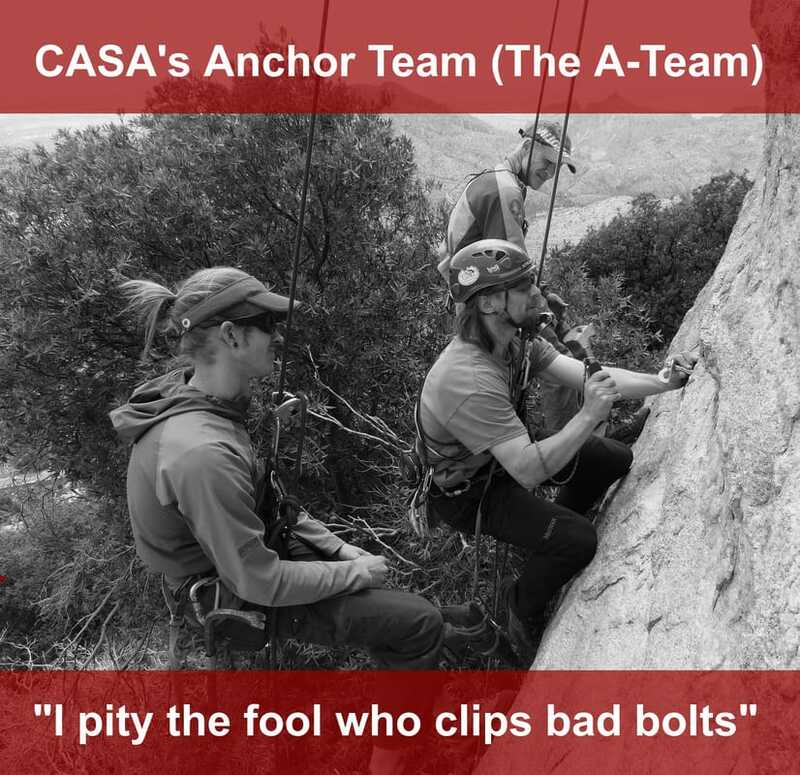 This joint grant from the Access Fund and the American Alpine Club will assist the Anchor Team (“A-Team”) in replacing old and potentially dangerous fixed anchors at our climbing areas. Goodbye, old hardware. Hello, high quality stainless steel bolts, hangers and top-anchors. Thank you for supporting this work! There are around 10,000 fixed anchors on the mountain. We aim to replace outdated hardware before we face a crisis. During our fall campaign, individuals donated $3,041. Rocks & Ropes, The BLOC, and Nick Asbury matched $1,500. Thank you for helping us get ALL of the available matching funds! Thank you also to all of our anonymous donors! You know who you are.